Workbench is a concept-to-completion building company that develops, designs, and constructs projects that enhance communities. Unlike most companies in the construction business, we handle every aspect of a project, from development to the finished building. Because one founder is an architect and the other is a general contractor, and both have managed large construction projects, we’re able to drive projects from beginning to end. We started our business in Santa Cruz, CA because it’s a community that embraces the unexpected and has a deep-founded respect for open space. At the same time, there’s an entrepreneurial spirit that encourages fresh thinking and new approaches to overcoming challenges. We love the small city feel, and see pockets of potential where neighborhoods can benefit from our modern approach to building spaces of attainable elegance. We're unique locally in offering concept-to-completion building, including development, design, and construction, all under one roof. Having a construction superintendent and project management background allows us to be hands-on in every aspect of our projects. Our founding team consists of an architect and a general contractor with a combined 20 years of experience, both running independent businesses in the construction industry prior to forming Workbench. Using their experience and some clever innovation, they have developed a streamlined system that uses smart planning and building, allowing us to keep costs down while maximizing investment dollars. We have a modern aesthetic rooted in projects and buildings that integrate with their surroundings. We build with respect for the community, people's needs, the area's history and aesthetic, and the natural environment. We operate based on collaboration and consensus, creating spaces that serve the interests of the community. We don't just build here, we live here. We are proud to call Santa Cruz our home, and that drives us to make responsible decisions that value the region as a whole. We see ourselves as community stewards. Our philosophy places enhancement of the areas in which our projects are built above economic interests. Well-constructed, aesthetically pleasing projects built with high-quality materials will retain value and provide ongoing benefits to a community. Experience has taught us that the key to a cost and time-effective project is the ability to properly plan and execute that plan. As a result, we take a systematic management approach to ensure each project's success. We know that openness and honesty builds trust and earns respect, and that nothing is more important in personal and professional relationships. We promote community collaboration on each project, knowing that constructing a building is just the beginning of activating a space. We are integrated and invested in the community and value everyone in it, because they are our neighbors, and this is our community too. As with all aspects of the company, Workbench began as a collaboration. Founding partners Jamileh Cannon and Tim Gordin were on separate trajectories when they first met while working on a 330 unit multi-family project in San Francisco. After years of providing their expertise to large-scale projects in dense and intense urban environments, and collaborating on commercial projects, they decided to join forces in a new venture. They started Workbench to build residential and commercial buildings that enhance neighborhoods and commercial districts while bringing communities together. Educated as an architect at Cal Poly State University, Jamileh launched her career as a licensed architect in California. 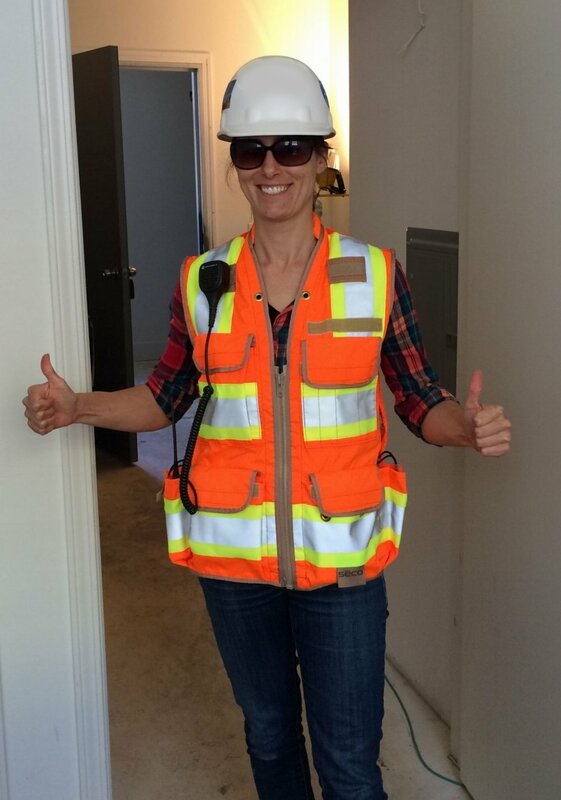 She soon transitioned from designer, to owner's rep, and then project manager for a general contractor, overseeing the construction of large, complex projects up and down the California coast. After choosing a second career in construction, Tim worked his way up through the ranks in the San Francisco Bay area, filling roles including superintendent, estimator, project manager and general contractor. They combined their knowledge to form a concept-to-completion building company that is unique in Santa Cruz. Since college, Jamileh has had an appreciation for how good planning and design heighten the human experience. She strongly believes that well thought out projects activate and enhance neighborhoods. Tim shares her passion and believes that buildings should be spaces that draw people in. In addition to the people who inhabit them, they feel that buildings should also enrich the lives of the people who move among them. After much searching for a community that could benefit from their approach, they chose Santa Cruz as an area with tremendous opportunities and the perfect place to call home. After settling in Santa Cruz, Tim and Jamileh launched Workbench to create mixed use, residential, and commercial spaces of attainable elegance. Their extensive management experience allows them to increase speed and maximize efficiency on projects, keeping costs down. The team brings a modern and energetic aesthetic to developing, designing, and building projects that emphasize integration into the landscape of existing neighborhoods. Proponents of structures that harmonize with open spaces, they’re a natural fit in the relaxed coastal community that’s now their home.